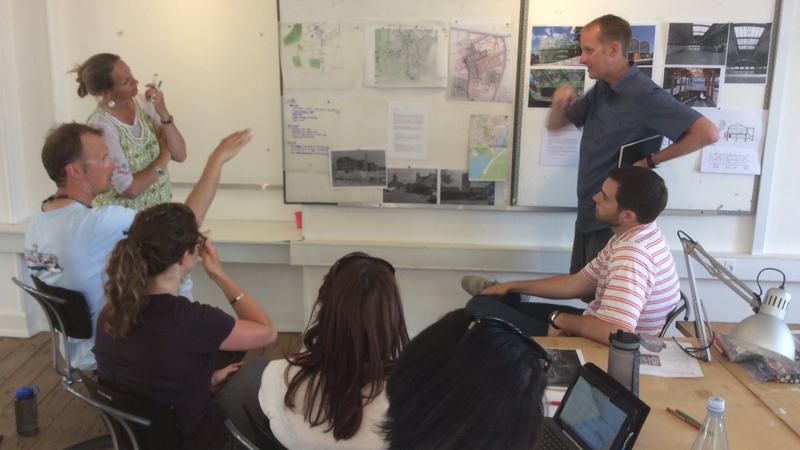 Leila Tolderlund, Assistant Professor (CTT) and Associate Chair of the Landscape Architecture Department at CAP, UCD led the Study Abroad to Copenhagen, Denmark summer 2018. Copenhagen is a laboratory of visionary landscape architecture and urbanism with sustainable approaches and innovations as diverse as creating integrated bicycle networks, the introduction of high quality public space, pedestrian connectivity, and design innovations. In this study abroad we investigated climatic conditions, public space, and local transportation systems that are designed to specifically contribute to the quality of life in cities. We analyzed public space and experienced how the Danish bicycle culture through design uses physical environments to support a healthy lifestyle. We also visited sites across Denmark and Sweden and immersed ourselves into the Nordic culture of democratic design to experience exciting outcomes of green infrastructure and renewable energy integrated into the urban fabric. Guest lecturers and professionals came from local architecture, landscape architecture and urban planning professions across Denmark to meet and speak with us. The course was a combination of field studies, bike trips and excursion in the city of Copenhagen and some nearby sites reached in day-trips. Additionally, the larger landscape and cultural history of design was explored through a transect excursions across the Danish landscape. Towards the end the program culminated into summary-studies about urban livability in the heart of Copenhagen. Using an intentional selection of architecture, urban design and inner city landscape architecture case studies, build by some of the leading European design professionals, students revealed interconnected relationships and place making strategies, through sketching, digital media, and hands-on exercises. MLA Study Abroad – class of summer 2018. Faculty: Leila Tolderlund, Assistant Professor (CTT) and Associate Chair of the Landscape Architecture Department at CAP, UCD.